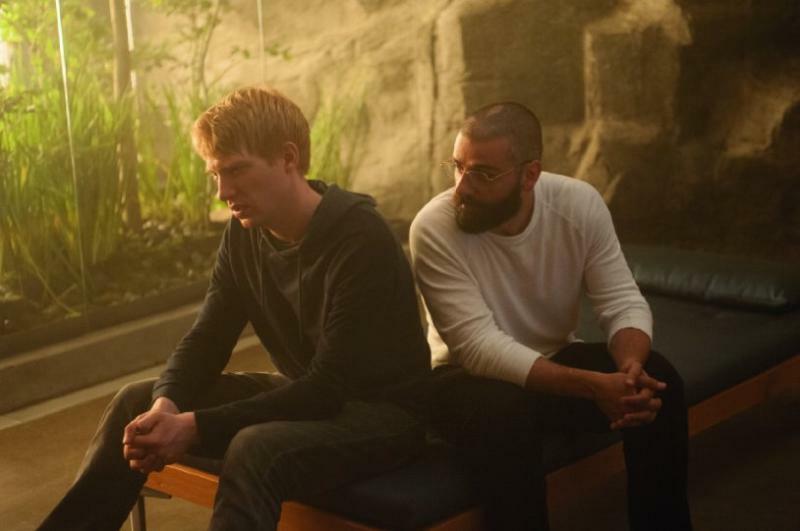 Ex Machina’s story is all about artificial intelligence and what makes us human. Caleb (played by the charming Domhnall Gleeson) works at a large search engine company and wins a competition to visit his boss’s isolated work sanctuary and before we know it he is in a helicopter flying over a foray of forest. He meets his mysterious reclusive boss Nathan (Oscar Isaac) who introduces Caleb to his new creation called AVA. An artificial human being. It soon becomes known to Caleb he is there to test the robot to see if it can pass as a human. Before I get on to the characters for me the biggest achievement was the set and production design. The bare interiors of Nathan’s retreat and it’s interiors set the scene for what was to come. It reminded me a bit of sets seen in Alien and 2001 Space Odyssey. Buildings full of technological advancements but the feeling of emptiness and isolation filling the screen. To be expected the robots themselves were beautifully designed, showing how far cinema’s ideas of what a robot looks like have come. The acting is top notch across the board even though the characters never really come across as characters to sympathise with – even the captive robots are powerful and conniving in their own way. The slow demise of it all is a beauty to watch and the director highlights the pitfalls of man trying to play god. The ending especially really got me excited and without ruining too much had plenty for horror fans to feast their eyes on. Go see this. Food for thought and entertaining to boot. 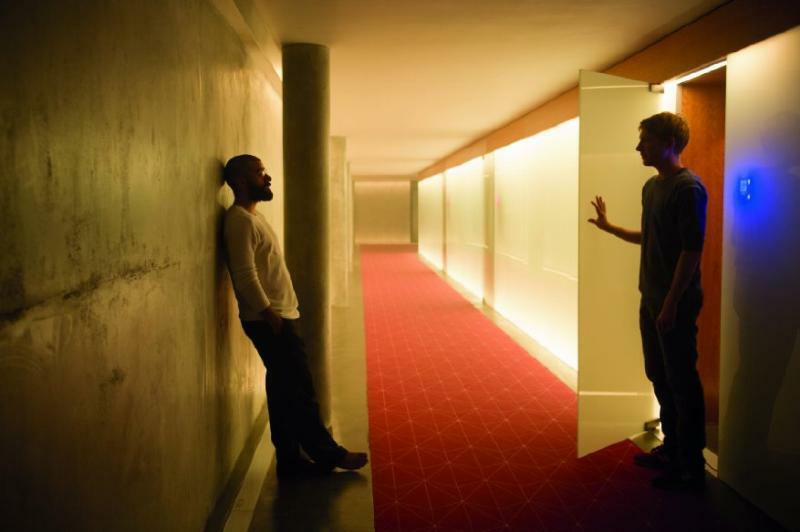 EX MACHINA is directed by Alex Garland and stars Oscar Isaac, Domhnall Gleeson, and Alicia Vikander. It is now playing in select theaters everywhere. I was taken-aback with this one. It posed so many meaty questions and creeped me out more than any horror film I’ve clapped eyes on in a while. Stellar stuff. Nice review.